328: A trouser suit for a young lad, with trousers, collar, tie, and cuffs contrasting with a shirt with tucks. 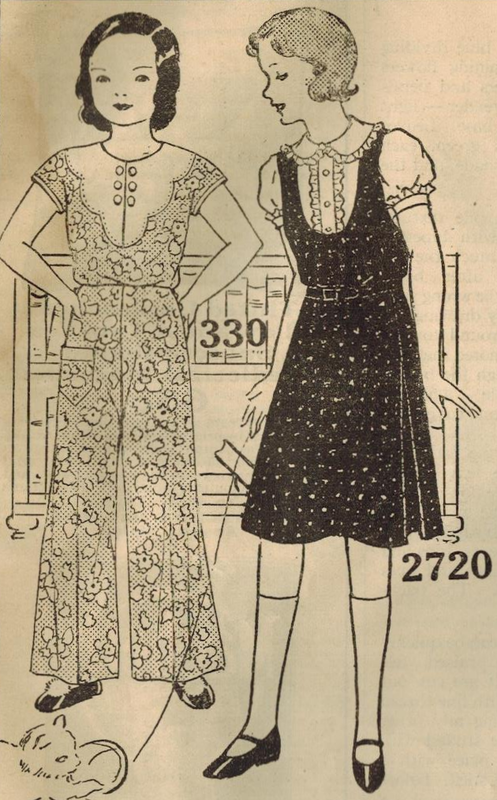 2723: A frock for a young girl, with a pretty collar and flowing pleats. 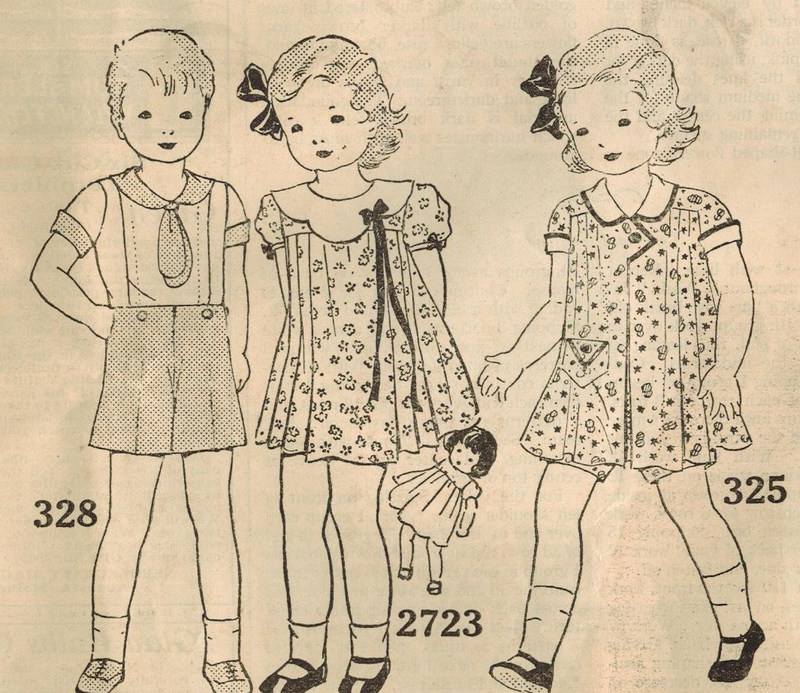 325: With fun details, this charming frock includes shorts. 330: Designed for girls on the grow, these pajamas have sophisticated style. 2720: A jumper with pleats on the sides and a pretty lace-trimmed blouse. 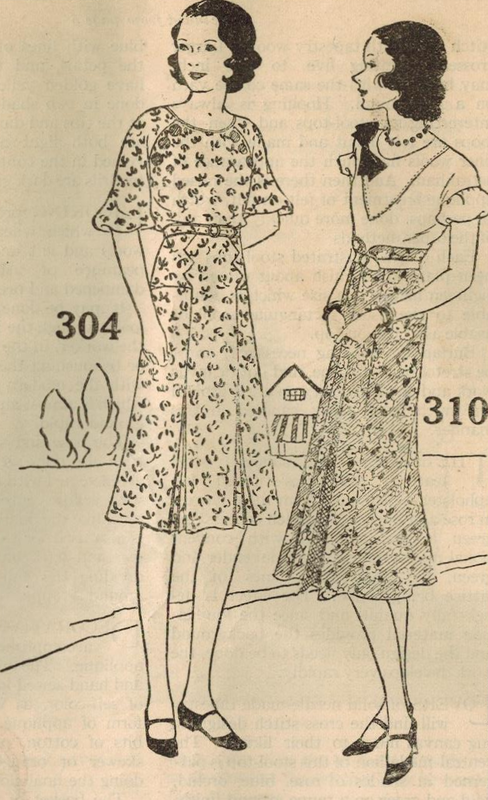 304: For the 'tween, this frock has wonderful style - princess seams zig-zag past the hips and release into inverted pleats. 310: With a high waistline, drop shoulders with puff sleeves, and a graceful flared skirt - this is sophisticated style!